The Maximum Attack event begins after maintenance! 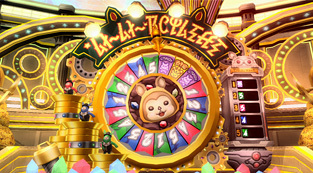 Head into the Casino and experience the exciting new Li~Li~ Roulette game! Summer information with focus on the Third Anniversary Update. Watch our hosts battle the Gal Gryphon, a boss appearing in Part 2 of the 3rd Anniversary Quest. New Collaboration and Merchandising announcements. 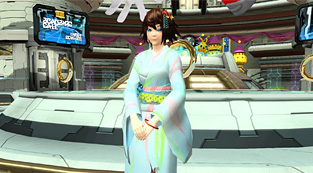 More PSO 15th Anniversary Project information. Details on the caravan’s next stop in Okinawa, and the Okinawa Tour! Catch the scoop on the Live Broadcast’s original song! Subdue Za Oodan must be cleared to access the Limited Quest. Added the “3rd Anniversary Exchange Shop” to Xie. Updated the product listing for the My Room Shop. Added “Recycle Badges” to the Recycle Shop. 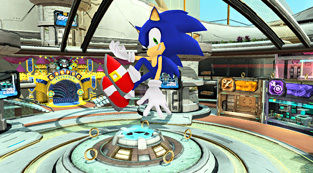 Recycle Badges can be obtained by trading in AC Scratch items at the Recycle Shop. You can use this badge in place of AC Scratch items requested at the Recycle Shop. Recycle Badges can be traded with other players and sold in My Shops. Added new items to the Casino Prize Shop. You can now search for costumes of specific genders within the “Costume” sub category. Gender selection is available under the “Attribute” drop down button. Ticket items in the Consumables category, have been subdivided based on their usage. Added more rewards through their friendship rating. Upon clearing certain client orders, players will now be able to control their characters while receiving CO transmissions during a quest. Team Orders and Klotho Orders will now appear in the list of suggested Client Orders after the player selects a regular or featured quest. Partially relaxed area restrictions on Lottie’s Client Orders. You can now save Symbol Arts from the History tab, when opening the Symbol Art list from the Chat Window. You can now play the FUN Scratch 10 times in a row for 1000 FUN. The “Available Item” section in the Quest Details window will now give priority to weapons of high rarity. It will now be easier for Nyau to drop his sword. In addition, his chasing sequence will now take up less time. Items will no longer drop from Gwanahda Bits and Gwanahda Bit Neros. Boosted the drop rates for Gwanahda and Gwanahda Nero. Turning in Daily Orders will now display a message containing the amount contributed to the Daily Boost. You will no longer be able to edit the “Level Restriction” settings when starting a quest in Challenge Blocks. Added a new entry to the Item Menu that displays [Set Effect] information. Special Ability explanations will now include stat information. A notice will be sent to the log window whenever a Casino or Boost event is held. This notice is pushed out during logins or when traveling between Shared and Regular Ships. 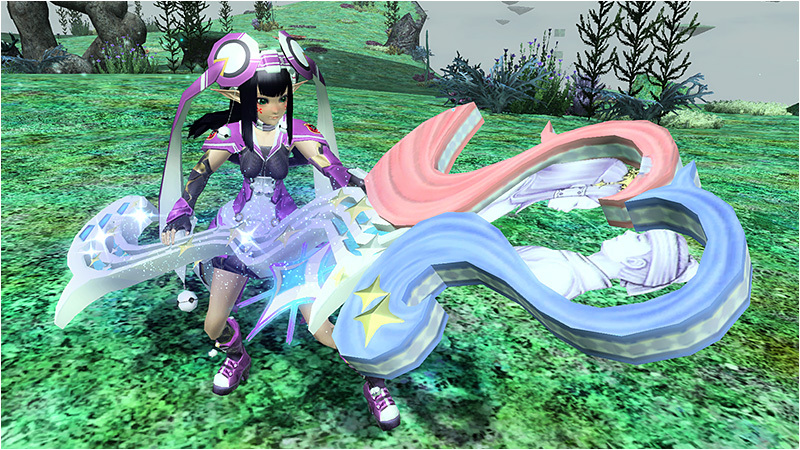 Territory Burst and Wide Support have been adjusted so that the skill applies the effect even with an uncharged Tech. Sword and Partisan users will descend slower when Just Guards are performed in the air. Raging Waltz will have reduced PP costs and earlier cancellation timings after its launching attack. Quick March will now have a stun effect when attacking enemies on the ground. Orchestra will have a reduced character stiffness period after the attack hits. The initial attack for Facet Folia will come quicker. Ducking Blow will have reduced PP costs. Flicker Jab will have reduced PP costs. Pendulum Roll will have reduced PP costs and its attack speed buffed. Slide Upper will have adjustments made to the enemy launching effect. Straight Charge will be adjusted so that the player does not fall when the charge attack is done in the air. The PA will receive reduced PP costs as well. Quick Howling’s attack will have expanded longitudinal range, and earlier Just Attack timings. Surprise Knuckle will have reduced PP costs, increased attack speed, and adjustments made to the enemy launching effect. Backhand Smash will receive increased power, reduced PP costs, and a wider attack range. The initial attack for Heartless Impact will come quicker. The PA will also receive earlier step and sway cancellation timings. Knuckles in general will have increased normal attack and step attack speed. In addition, the 3rd normal hit will recover more PP. One Point can now be cancelled with Dive Rolls. 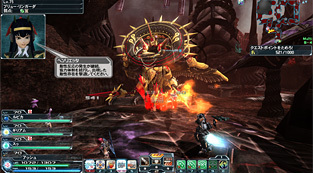 Aerial Shooting users will descend slower when performing the attack in the air. (TMG Only) Dive Rolls have been adjusted so that they can be cancelled quicker through movement and Stylish Rolls. Elemental Burst will have increased power. 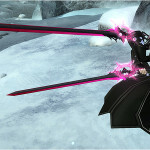 In addition, it will have increased status inflicting rate up to Skill level 4. Due to the above changes, an All Skill Tree Reset Pass has been distributed. Relaxed unlocking and success conditions. Relaxed the VR Energy drain based on the number of PS Vita players present in the Challenge Quest. Ultimate Buster can now be transferred onto ★1 ~ ★12 weapons. 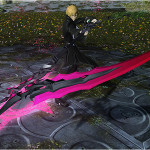 Five weapons with this ability are required for the affixing process. Purchase the qualifying amounts of AC during the campaign period to receive various prizes! Players can earn booster items and more by creating a new character and leveling up during the campaign period! 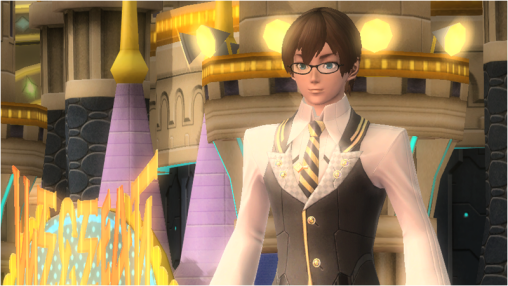 ※Leveling up in PSO2es will not count towards the campaign. ※Characters created prior to the campaign period will not qualify for the prizes. 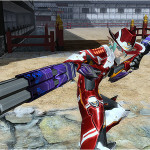 Link your PSO2 and PSO2es accounts and play for prizes in each game! Clear the specified new client orders for Alto and Xie for a number of prizes! Returning players who haven’t logged in since May 13th’s maintenance will find a grand total 255 items awaiting them at the Visiphone! Who thinks the roulette will be better or worse than PSU’s? Anyone having an issue where it’s not registering the Pre-patch having been downloaded and keeps trying to download the full patch anyways? Yes, me and my friends all have that issue. I copied the contents of the data folder from “_precede” to the actual data folder, then went to the tweaker folder and deleted the DO NOT DELETE ME file. This causes tweaker to rescan your folders and include the prepatch data. You can then check for updates using the new method and it should download about 400+ files (around 50-70MB). Also, just to be safe, i ignored tweakers prompts about a new update being available on start-up, then redownloaded original JP files for each of the patches I had installed. THEN i used the “new method” of checking updates in the orb menu. All updated now. If this works I will love you forever. Great! Glad to hear! I have slow speed as well so I was desperate to figure it out. =x= Also have a vita patch to get tonight, lol. No time to redownload the PC update. Just curious, do you rebuild win32 donut delete something file after downloading prepatch ? It rebuild the win32_do_NOT_DELETE me on itself, for unknown reasons – JUST before it installed the pre-patch AND after redownloading the whole stuff first, wtf? Running a file check now, cause the tweaker seem to be bugged. The file is a list of all of your pso2 files so the tweaker doesnt redownload them, I assume. (I don’t know x3) When you check for updates it checks your files and is building that list again. Sorry, I got stuck at work and was unable to trigger the prepatch installation until around midnight. :c Thanks for posting workaround instructions! Dont worry AIDA we figured it out somehow, its working before servers are up again so its definetly fine. Also thanks for everything. Dont worry AIDa we figured it out somehow. Thnx for everything you do for us. This is silly, but I just noticed third party updates for PSO2es are still being posted 😮 For those who want to have PSO2es on their Android devices without the need of downloading the update and installing it manually, you can download it just once on your device using VPN, then it’ll be added to your list regardless of your country. I haven’t used VPN since I installed it on my tablet on release and after I got my new phone last year, I got to install it directly from the Play Store by going to the list of apps attached to my account (drop down menu to the left, then “my apps” and finally, “all”). 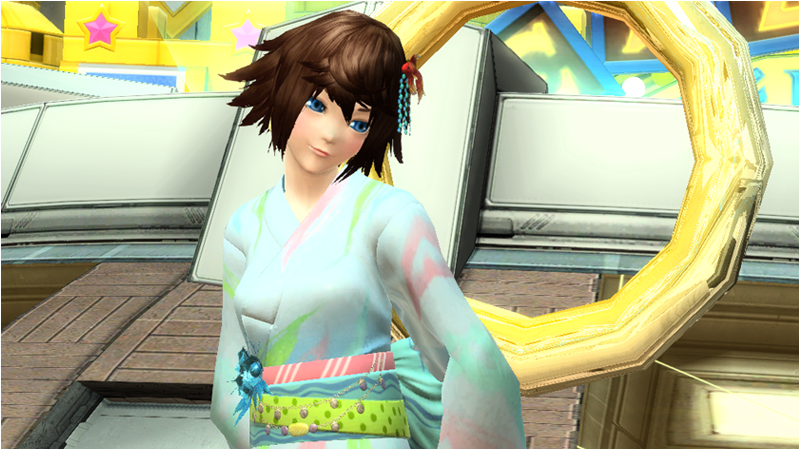 When updates are avilable, you simply have to launch PSO2es to receive the prompt. The app will redirect you to the store page regardless of country and you can update from there (or you can browser the “all” section once the app is installed, open the store page from there and update). Some people don’t like vpn’s, and some of them also want to play with the eng patch so why waste time installing a vpn when you can download both things at the same time. Some people dislike having to use a VPN for anything, so which is why we have it up there. No more pre-patch for me. This time and last were the same, downloaded pre-patch, opened tweaker and “intalled the patch”. Had to download it again. Cant even find the precede folder, i guess it was deleted after the “successful” patching. Yep…. I’m all smashed into a ball on the floor too. Yeah, im having the same problem and on top of that cant log in. im stuck at the loading screen. what do i have to do to fix this “Paper Ball” situation? I’m having the same problem. still have not figured it out yet. Can anyone help? anyone knows what is the potential for the new 13 stars weapons? for rifle, bow and boot: PA · technique consumption of PP at the time of use ( ?% /?% /?% ) decreased, the power (?% /? percent / 3%) rise. for slash, katana, db and launcher: PA · technique consumption of PP at the time of use ( ?% /?% /?% ) decreased, the power (?% /? percent / 6%) rise. I want to know this too, anyone knows? Ok earlier i was able to get on pso2 right? Now when i get on hours later everytime i get to the point where you load ur char up and it puts u down in the arks ship. Well that load screen right there? just keeps on loading and loading is there something am missing? so what I did to fix that was I delete the win32list_do_not_delete_me.txt file and loaded up the tweaker then I checked for up updates using the new method and it fixed the character mashed up in a ball or literally inside the arks ship and I was able to load in. Prepatch worked a treat over here, thanks so much! Installation was 99% painless. Any idea when we’ll receive an updated item patch? The update appears to have overwritten all items back into kanji. Thanks again for the solid work, love you guys! When I launched the Tweaker and begin the game, everytime the PSO2.exe stops working. When I launch the game in a normal manner, it works fine. Anyone else have this issue or have a fix? I redownloaded the tweaker and same problem.